I have been lucky enough to have a sneak preview of the latest product from The Rose Tree which launched this week and it is a total treat to use! 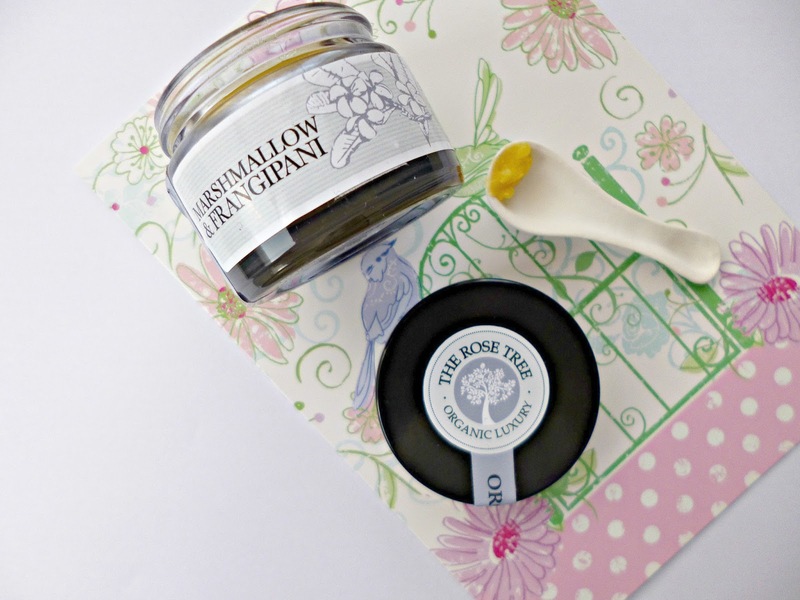 The Rose Tree is a brand that I love, their products are well priced and very effective. See my post Introducing the Rose Tree for more information on the brand. The Intensive Balm with Marshmallow and Frangipani (£24 for 30 grams) is an intensive facial treatment that tackles dryness, plumps the skin and helps maintain hydration all with a completely silky smooth finish. I test a lot of balms and I have to say although I still have other favourites the texture of the Intensive balm is a cut above the rest, it melts perfectly in to the skin and feels heavenly when sensitivity or dryness is an issue. You are left with baby soft and very happy skin, no residue, heaviness or congestion. The ingredients list is simply wonderful, Marshmallow Root oil is softening and smoothing, Amaranth is calming, Argan oil provides fatty acids and chamomile and calendula add extra soothing properties to an amazing blend. Given the ingredients list sensitive and dry skin types will feel the most benefit but unlike other face balms that can feel a little heavy, I wouldn’t hesitate to recommend this for more combination skins either, you will be surprised by how well the blend absorbs and how lovely it leaves the skin. The balm is scented with Frangipani, which although one of my favourite scents, can be a little strong if you are not careful, not in this, the scent lingers on the skin but isn’t overpowering at all. A simply beautiful addition to an already lovely line, with 93% organic ingredients this balm is available to purchase now from the Rose Tree Website. and Love Lula*.